The day also provides an occasion for every person in the community to join with the International Association for Suicide Prevention (IASP) and the Canadian Association for Suicide Prevention (CASP) to encourage understanding about suicide and highlight effective prevention activities. WHEN IS WORLD SUICIDE PREVENTION DAY? The World Health Organization (WHO) estimates that over 800,000 people take their own life each year – that’s one person every 40 seconds. Suicide occurs transversely in all ages, economic, and social boundaries. The pain that leads individuals to take their lives is unbelievable, and their death leaves impact on their family and friends. 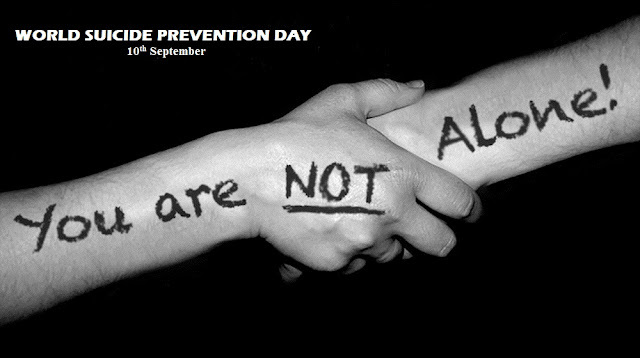 World Suicide Prevention Day (WSPD) was first started in 2003 by the International Association for Suicide Prevention (IASP) and the World Health Organist ion (WHO). 1. Arrange Conferences, educational seminars or public lectures. 2. Promote Media programs about suicide awareness and prevention.